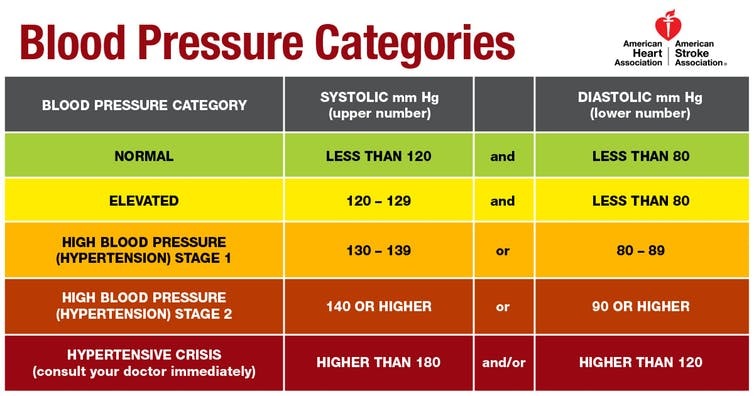 “Updated blood pressure guidelines from the American Heart Association mean that many more Americans, notably older people, are now diagnosed with high blood pressure, or hypertension. This may sound like bad news, but the new guidelines highlight some important lessons we cardiologists and heart health researchers have learned from the latest blood pressure studies. Specifically, we have learned that damage from high blood pressure starts at much lower blood pressures than previously thought and that it is more important than ever to start paying attention to your blood pressure before it starts causing problems. Read this article in its entirety at The Conversation.